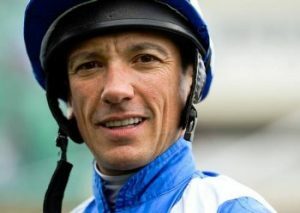 Frankie Dettori rode his 3000th winner at Newmarket on 12th August. He came to the meeting needing 2 winners from the three rides he had on the day, and his fancied ride, Blue Geranium, was well beaten by 25 lengths! But his other two rides, despite not being fancied, came in first due to the expertise of the rider. They crowd may have been here mainly for Jess Glynn’s evening performance, but once they realised that Frankie was about to make history they roared their approval of his fantastic achievement.